The moment prayer meets reality is surreal – and when the collision of prayer and reality happen, it gives way to two reactions. Sometimes it feels so normal – so natural – that we have to remind ourselves it’s a miracle. Other times it’s so big, so impossible, and so unreal we have to pinch ourselves to make sure we’re not dreaming. As the Roadhouse opened its doors for the very first time a mixture of those two reactions welled up in our hearts. That’s what it felt like as our entire church family parked their cars and settled into their seats for the very first time. It was different and exciting – but it felt like home. Then the realization of how unbelievable that day truly was collided with the initial security of “home”. It was the: this-is-really-happening-throw-your-hands-up-happy-dance feeling of our first Sunday in the Roadhouse. Watching a prayer – a three year old dream – materialize into a tangible reality was breathtaking and unreal. 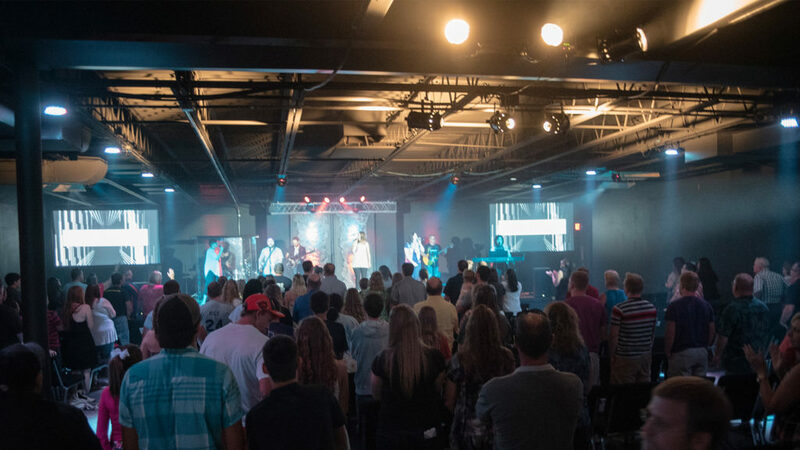 The building was full of old faces and new – people who have known Christ for years and people who would meet him for the first time that Sunday. As we basked in God’s goodness and faithfulness our hearts overflowed with gratitude. There were tears of joy, hands raised high, and the keen awareness of God’s hand in our lives. There was also brokenness, fear, and insecurities – and we were happy they were there. Because we believe that the broken will be made whole, fear will dissipate, and insecurity will leave in the presence of Jesus. This past Sunday was a moment to stand in awe of what God has done. In the future, we will look back on August 28, 2016 and it will serve as a memorial of what God did. But this isn’t it. We haven’t arrived. We won’t plateau and be satisfied in our comfort zone. The Roadhouse is only the beginning of answered prayers and transformed lives; and we can’t wait to see what He does next. What a blessing to be a part of the work that God is doing in Pontiac. Great summery of our first Sunday at the Roadhouse. Our church is amazing! Our God is amazing! Last sunday was an amazing experience for all of us. I was in awe of what our God was doing ! I feel so blessed to be a part of something that is going to change this community. Perfect- God is so good!!! Overwhelmed by all God has done and continues to do! This article explains it all so beautifully! I love my church! COME ON!! Except for the day I realized that God had healed me of stage 4 brain cancer, I've never in my life felt closer to our amazing, loving, a fall-powerful God than last Sunday! All I can say to that is MORE LORD! !